Silver has enjoyed a fantastic week, awakening from its bottoming slumber to surge with gold. And this strong silver investment demand is likely only starting. American stock traders and futures speculators control two of the world’s largest pools of capital active in the silver market. And the former group still remains woefully under-invested in silver, while the latter still has massive short positions left to cover. Over this chart’s span, silver peaked just under $37 per ounce in late February 2012. That day SLV’s holdings of 313m ounces were worth $11.6b. Silver’s brutal bear market finally looks to have bottomed in early November 2014 at just over $15 per ounce. By that day SLV’s holdings had grown to 343m ounces, but this hoard was only worth $5.3b. So the SLV holdings’ uptrend is not as counter-intuitive as it seems. Only time will tell how much SLV buying we’re going to see, but it has the potential to be really big. This ETF’s peak silver holdings of just over 366m ounces came back in late April 2011 as silver was rocketing up over $48 in a speculative mania. That day SLV’s holdings were worth $17.2b, or 3.1x higherthan this week’s levels! But it could take massive silver gains over years to fuel such a big jump in stock capital invested. But despite that large pool of capital by silver’s standards deployed in SLV, there’s another pool that just dwarfs it. There’s no one on the planet that moves more capital into and out of silver than the American futures speculators. They aggressively trade silver’s flows and ebbs with extreme leverage, exerting the greatest influence on silver’s daily price action. And theirshort positions are the key to silver’s near-term fortunes. Speculators shorting silver, betting on its price falling, effectively have toborrow that silver before they sell it. This saddles them with the legal contractual obligation to buy that silver back to repay their silver debt. 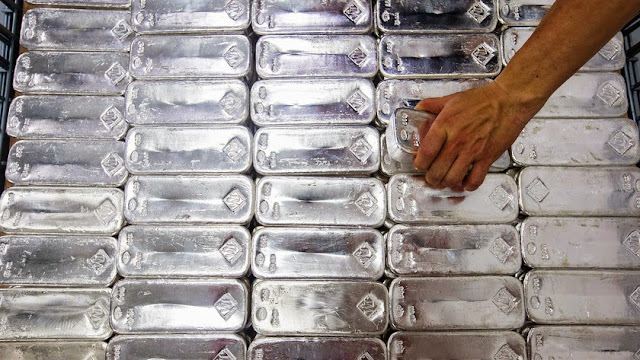 So high silver-futures short positions by this group of traders are very bullish for this white metal since they represent guaranteed near-future buying. As this chart shows, silver soon rallies after major shorting. And you won’t hear much about silver in the mainstream financial media until after most of the gains have been won, so it’s essential to cultivate great contrarian sources of information. We have long published acclaimed weeklyand monthly subscription newsletters providing just that. They draw on our exceptional market experience, knowledge, and wisdom forged over decades. They explain what’s going on in the markets, why, and how to trade them with specific stocks. Subscribe today, as we are currently running a 33%-off Contrarian Extinction Sale!